Every year around early August, the instinctive desire to head to the woods for another Upland Season begins to beckon my wild heart. This is the time of the year where the culmination of all my summer conditioning and training are called into question. If you’re anything like me, September 1st, as a pointing dog handler, is better than Christmas for a young boy. For most, September 1st is opening day of dove season, and who doesn’t love sitting down and shooting 100 shells to harvest 15 dove? 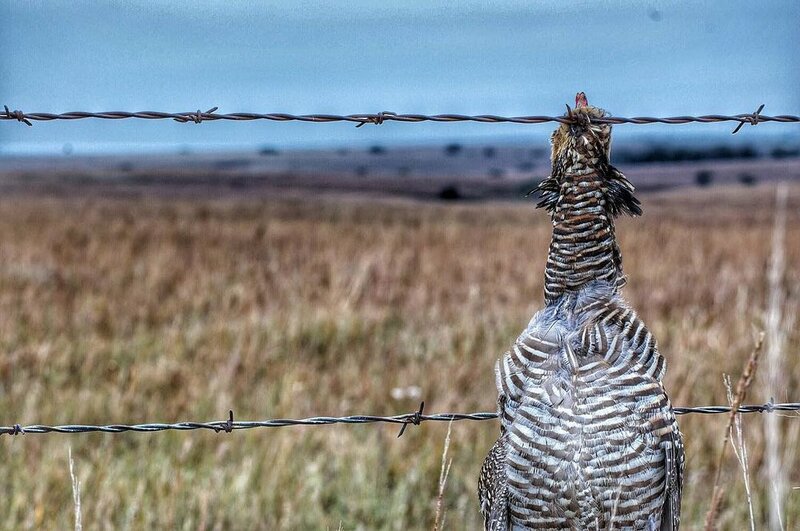 But for a select few states, the first of September is opening day of grouse and prairie chickens. Last year, I was fortunate enough to accomplish the “Grouse Trifecta” on a single piece of public land in Colorado. In a short 3-hour hunt, I harvested a limit of Sharp-tail grouse (2) and a limit of sage grouse (2). 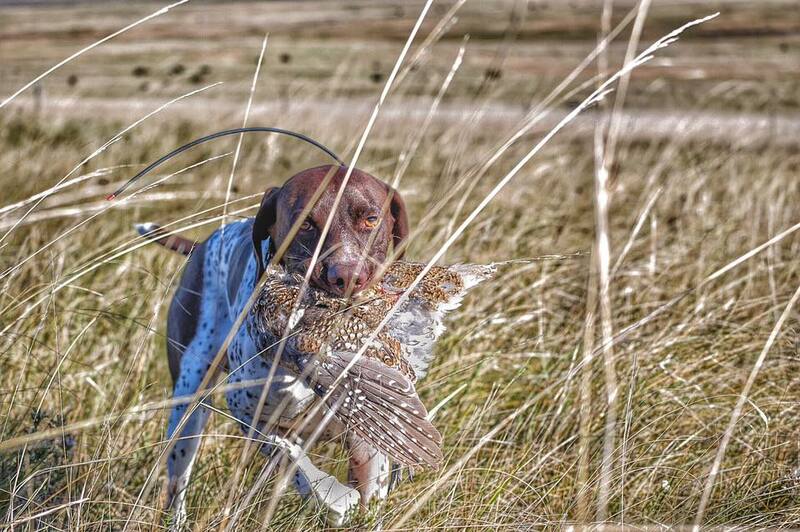 Then, on the descent to the truck from 11,000 feet, my youngest pup went on point, and I got my shot on a blue grouse. 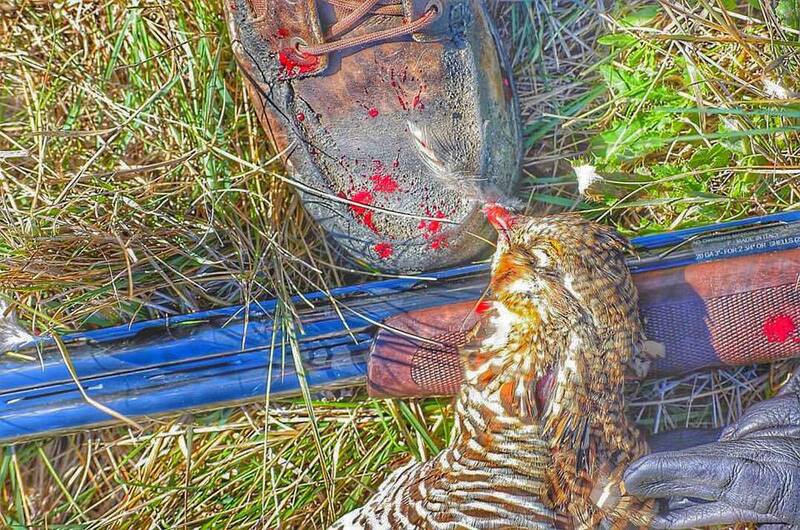 Not only was this the first of any sort of “trifecta” or “slam” I had shot, they were the first sage and blue grouse I had ever harvested. This was, by far, the most emotional and memorable moment afield I have experienced to date, and it has initiated the movement of experiencing “First’s”. Throughout my summer conditioning regiment with my two German Shorthaired Pointers, Gnarli and Radar, I vigorously researched where the September 1st day of reckoning would take place and where I could chase down another moment to call a "first" for 2016. 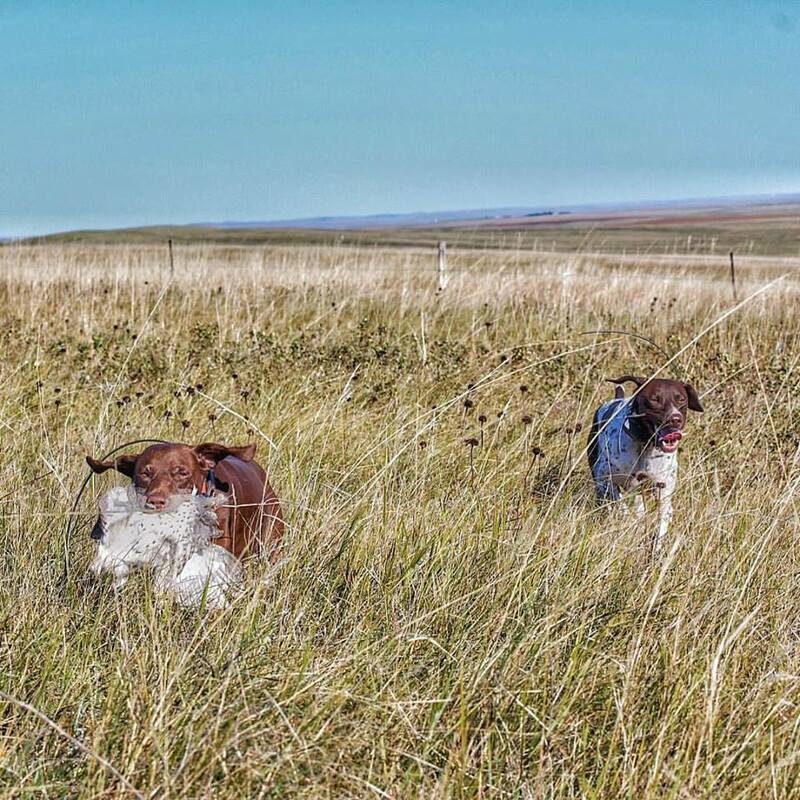 After many blog posts, social media feeds and fish and game reports - South Dakota was the place to be. After a few short conversations, I stuck the pin and was headed to Pierre, SD! The National Grasslands offered everything a simple man like myself could ask for; free camp grounds, thousands of acres of public lands and a reported 5 year high on sharp-tails and chickens. A plan in place, a destination picked out, and the truck loaded up, the winds would finally have their way with my rambling soul. This trip, like many of my Upland Adventures, would be a solo hunt, a true test of physical and mental fortitude. Over the years, I’ve learned that, while I enjoy sharing a camp fire story and a good glass or three of scotch with my hunting buddies, I get the most satisfaction in the solitude of the woods. To travel 600 miles to a location I’ve never been, find and set up camp, choose every field to walk and what direction to walk it, to depend on my dogs and trust in only my training and intuition, those are things that build a man of substance and those are the subtleties of a hunt I seek the most. 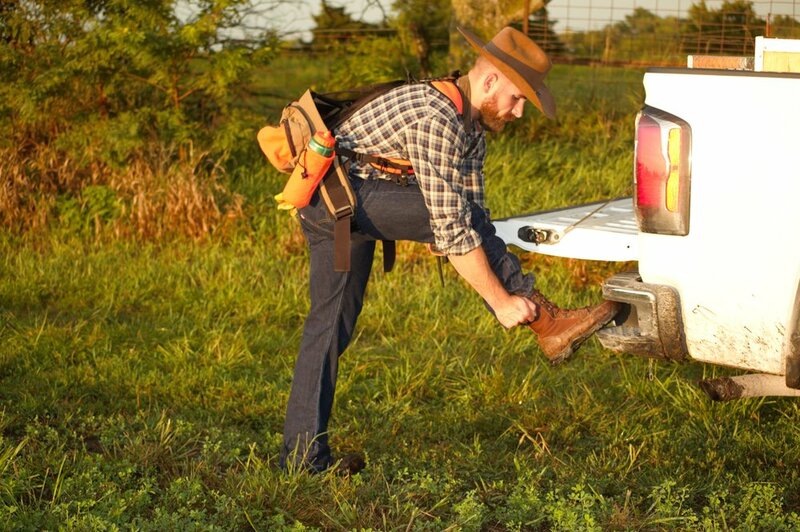 Six hundred miles, a few hours of setting up camp, and a sleepless first night, it was time to drop the tailgate and go to work. After setting the dogs up on their Alpha 100 collars, tightening my new Danner Sharptail boots on my feet and a quick prayer, the 2016 season was underway. The boys started out red hot. Radar locked up within the first 200 yards and Gnarli honored like the true field general he is. Stumbling over my own feet as if I had never seen a dog on point, my heart was beating the oh-so familiar palpitations I’ve been dreaming about all summer long. The bird flushes in a furry and ended up being a hen pheasant, a perfect reminder for the dogs that we came to do business. 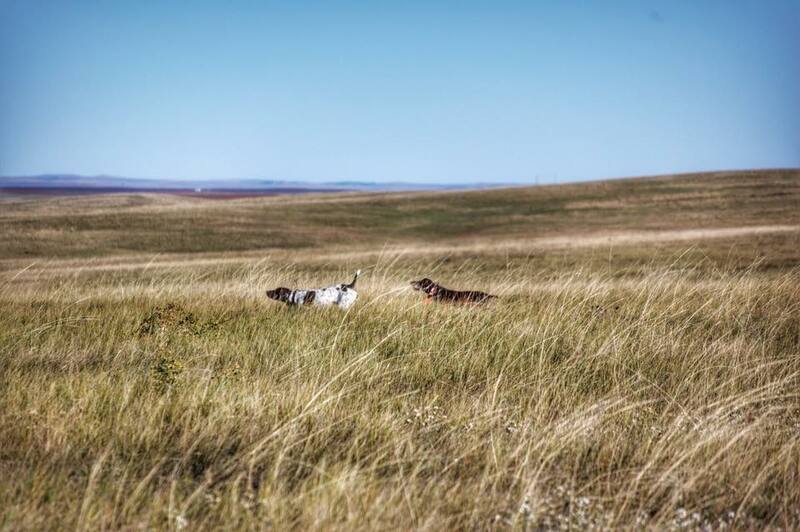 The boys would soon settle in after a good mile or so and were working the grasslands beautifully. I decided to work around the sunny side of a dam as it was an obvious location birds would inhabit. In doing so, I lost site of the dogs as I assumed they were going for a quick swim and a drink. In that moment, I would experience my first South Dakota “first”. With winds around 12mph, a scent would pass through my nostrils triggering a response in my brain that cannot be mistaken for anything else… That’s right a SKUNK! I ran over the dam to find both my hounds nose down, and face first in the rear-end of a BIG female skunk; both of them sneezing and growling in frustration. As angry as I was, and completely nose blind to the horrendous smells coming from Gnarli and Radar, I couldn’t help but laugh it off and chalk it up to paying Mother Nature her tax. Unfortunately, optimism can only go so far and the skunking would set the tone for the first day of hunting. The dogs ran 24 miles a piece and I walked 11 myself, the heavy winds and not-so-clean scenting conditions of the dogs noses would prove to be too much for us to overcome. Unfortunately, for the birds, I’m as persistent as they come and have another 6 days to learn this chess match. Up before the sun and a hot breakfast down the hatch, I was three steps ahead of the day and parked at my first field an hour before shooting light. After checking my watch 100 times in 59 minutes, the anticipation of redemption had reached its moment and we were once again chasing memories worth talking about. Sure enough, within the first few 100 yards, Gnarli would slam a magnificent point on a big mature rooster pheasant. As we navigated our way, mile after mile, day after day, South Dakota would show us the meaning of true beauty. Endless views of grasslands, agriculture farmed for bird conservation, ponds and dams established for game, I found myself enamored with the habitat. We would proceed to put a whipping on the sharp-tails on day two, and got into the prairie chickens thick on day three and four. This was also the first time I have ever hunted with a nice camera. I was toting my new Nikon with a 200mm lens and I was fortunate enough to capture some amazing dog work! As I lay in my tent dirty, sore and tired as the day, I found myself in complete euphoria. I had a smile, ear to ear, smitten with all that life was offering me. I had shot, bagged, and eaten my first South Dakota upland birds. To a man like myself, that’s a blessing worth recognizing. The rest of my time in SD was rarely short of excitement and new experiences. I would get to upland hunt via horseback for the first time, which, I can’t lie, was much needed after the miles logged in the first 4 days. My tent poles would break in half due to excessive wind and I was forced to MacGyver my tent with tree limbs. I would also receive an “unknowing” trespassing ticket from South Dakota Fish and Game because they provided me a map from 2015 that stated were I was was legal ground to hunt, but that had changed in 2016. You win some, you lose some, just don’t ever quit. This trip, like all hunting experiences, was full of ups and downs, God’s way of testing your worthiness of a harvest. After 6 days of hunting, Gnarli logged 98.79 miles and averaged a speed 13.7 mph, while Radar ran 95.66 miles at an average speed of 11mph. I would finish the trip with a total of 46 miles, 6 sharp-tails and 4 prairie chickens. I will forever ramble in the fields of the uplands, leaving a piece of my heart in each field and hopefully taking a bird or two along the way with me. The journey and the adventure shapes who I am and the “Firsts” I experience along the way will inevitably help shape the legacy I leave behind. ANTHONY FERRO is a Kansas native chasing his dream via the uplands. Anthony wasn’t born into a hunting family, but by God’s grand design he was destined to walk among the wild things. With passion as his source of fuel, he has proceeded in chasing birds by living in 4 cities and 3 different states over the past 8 years. This is how Fetching Feathers was born, it became that place where passion and tradition collide, where judgment and bias do not exist. The traditional elements of an outdoor lifestyle are married with modern approach. Born from the love of the pure pursuit of all things feathered and inspired by the dance with the spurred quarry, Fetching Feathers is an ever-growing line of essentials and clothing the is sure to resonate with the modern outdoor enthusiasts.